22. Adding Inc. or Corp. Businesses in California will benefit well from incorporating. 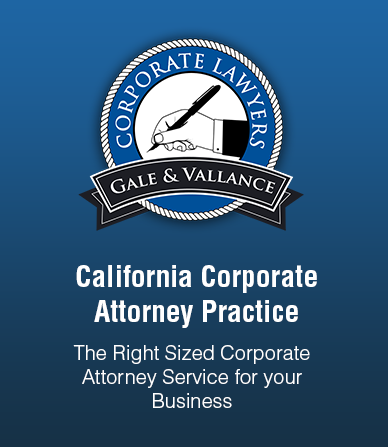 With the assistance of a competent corporate lawyer in Orange County, you can incorporate your company. Among the first things that need to be done when incorporating a business is choosing a business name. This is very important, because this will be your brand or your identity, from the moment your company has incorporated until the end of its existence. Generally, when you file your Articles of Incorporation, you will have to choose a business name that has not yet been used yet. At times, if your chosen brand name even closely resembles any existing corporation name, you will not be allowed to file your documents. You need to decide on a business name that has not yet been taken, and will represent your company appropriately. It’s best to start this process of choosing by making a list of several choices and then doing research to find out which ones are available. You also need this list of corporate name options; you will use this when selecting an Internet domain name. All companies will have better sales if they have their own website. If possible, the domain name and the chosen corporate name should be the same, or at least related. The process of choosing a corporate name may be among the most tedious things to do when incorporating a business. This is why you need the assistance of a corporate attorney in Orange County, California to help you in all the processes. Learn more tips on choosing a business name for your corporation in Orange County, California by reading through this article. Deciding on a name for your corporation in California must be done carefully, because you don’t want to be forced to change it later on. Changing corporation names means that you need to amend the Articles of Incorporation that you submitted, which is a very tedious thing to do. Also, you will have to purchase a new domain name and obtain new telephone listings. Changing business names can also be confusing for your customers. You will have to reorient your clients, which is another tiring process. 2. Adding Inc. or Corp. If you are incorporating an existing business and you’d like to keep the business name, you might want to simply add “Inc.” or “Corp.” after the corporation name. You may also do this if you choose to use your own name for your corporation. You need to abide by naming requirements and restrictions by the state of California. A corporation is identified with a designator like Corporation, Incorporated, Limited, Ltd., Company, Corp., Inc., etc.